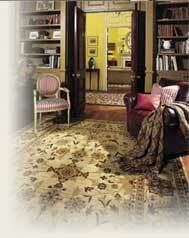 GET A FREE FULL COLOR PRODUCT LITERATURE designed to help you find the right rug for any room in your home or office. In addition to professional care and cleaning tips and rug construction information, every page conveniently provides sizes, color descriptions and suggested companion pieces. Fill out the form below completely and click submit. Your free literature will be sent as soon as we receive your request!